He has brought down the mighty from their thrones and exalted those of humble estate. As he spoke to our fathers, to Abraham and to his offspring forever. 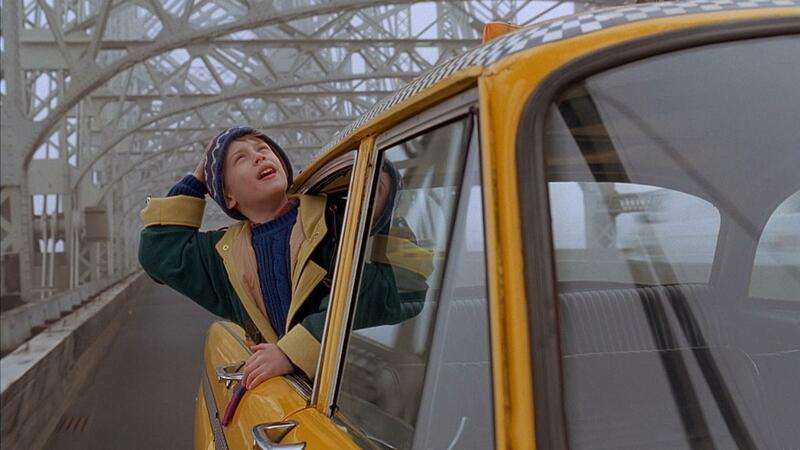 I am 8 years old when Home Alone 2: Lost in New York is released. I live in Cody, Wyoming. I watch it not in a movie theater, but on VHS. My entire family sits down to watch it, my parents murmuring about how disrespectful the protagonist, Kevin McCallister, is. I am supposedly around the same age as the cheeky, mischievous, brilliant, selfish Kevin. It leaves a permanent impression on my brain. His family is rich. His parents have a TV in their bedroom! They go on vacation to Florida! His mom wears fancy earrings! It is so gloriously materialistic. My sisters and I are entranced by the Talkboy that Kevin uses throughout the film. A modified walkman, the toy had been designed just for the movie, based on specifications created by director John Hughes himself. We knew it was the must-have Christmas present of the year, pre-internet. I know I will never have a Talkboy, and this does not bother me very much. We don’t have very much money, nor do we live close to a store that would sell anything like what Kevin McCallister has. I accept this, in the way that some children do, without fanfare or pity. Home Alone 2 makes me think there are two types of people in the world: those who have, and those who have not. My family reads the Christmas Story every December and I find the words already routine and boring, the story of incarnation finding no holds in my imagination. I don’t remember us ever reading Mary’s prayer of Thanksgiving for her miraculous conception in Luke 1 that lays out a subversive, surprising message: “He has filled the hungry with good things, and the rich he will send away empty.” But for now, I understand, it is the rich who will have the best time. Living in a modular trailer in a wind-swept town, Home Alone 2 is an escapist fantasy for me. New York City at Christmastime becomes a hallowed place, the complete opposite of my own small life. I want both to escape into a completely new life and also be reminded to be grateful for the one I already have. Like Kevin, I fixate on the extremes of life: The glorious Plaza Hotel and the luxury of ice cream sundaes via room service; the terror and confusion of Central Park at night, filled with characters despondent and cast aside from society. I think about the snotty employees of the hotel and the kindhearted homeless woman Kevin befriends. How could such wealth live side by side with poverty, in my own country? I didn’t have any answers, but I wondered how to solve this fundamental inequality. I didn’t understand that it was really quite simple. I didn’t know that the problem always has been affluence. My mother is worried about me. I am too obsessed with Christmas movies and cartoons. Over the years my dad has carefully put together VHS collections that he taped—Charlie Brown Christmas, A Garfield Christmas, A Claymation Christmas Celebration—and when I am 12 I start to watch them over and over again. Sometimes, in July, in the heat of summer, I find those tapes and put them on, hoping to find a bit of solace for my pre-teen angst. Already, the nostalgia had gripped me. Life was easier when I was young and innocent, when it was December, and the lights twinkled in the dark night. I am learning how to use media to manipulate emotion, to manufacture a response, to let my days be measured not by the rhythm and routine of liturgy but by the longing for what I don’t have. In addition to Christmas movies, I also find solace in John Grisham novels—stories where systematic evil is addressed and truth always wins out in the end. Who are we supposed to fear? People like Marv and Harry, “the Wet Bandits”—lower class and cast aside into the prison system? Or giant corporations and institutions that crush people in all sorts of unseen yet powerful ways? In Home Alone 2 I see that so many people are afraid but trying to hide it: Kevin, his mother, the pigeon woman. They are afraid of losing connections, of truly being isolated. This is somewhat lost on me, as a 12-year-old. I continue to peel back the layers of the world slowly, finding out that all is not well. I lay on our plush carpet and watch Christmas movies marred by tracking lines. I fast forward through all the commercials on the VHS tapes, wondering how I could ever be a part of making the world a better place. I am showing Home Alone 2 to an apartment full of children, to great success. I have been a volunteer through a refugee resettlement agency for a few years now, working with families from East Africa. Navigating how to explain Christmas—the secular and the sacred and the everything-in-between—is hard. The intangibles, the nostalgia, the lights and songs and cookies, they don’t mean anything to my friends and neighbors. Trying to explain what the birth of Jesus means is even more difficult, due to religious, cultural, and language differences. But Home Alone 2, they like. The slapstick especially—with Kevin figuring out all sorts of ways to hurt and thwart the wet bandits, who are trying to rob both a toy store AND a charity—makes the kids laugh so hard they can’t breathe. I sit on the couch and grin, enjoying passing on a bit of my own culture. In my small apartment, huddled together with children who have lived through the worst of what the world has to offer, we laugh at a little boy who also very much wants to survive. I don’t mind very much that they don’t seem to like any of the same parts that I do. I don’t think very much at all about what this film might be teaching them about America. I am too young, too rich myself, to really think about all of the ways we are content to let the disparities exist, if we are the ones in power. I am a mother now. Home Alone 2 is horror film of sorts, with hints of fantasy. The details get stuck in my mind, causing irritating questions that pull me out of the narrative. What line of work is Mr. McCallister in? What about Mrs. McCallister? How do they pay the mortgage on their mansion in the suburbs of Chicago? Are they Catholic? (I am assuming they are, since sanctuaries show up occasionally.) I find I am mad at the mother in the movie, played by the incredible Catherine O’Hara. Why didn’t she try harder to make sure they were all on the same plane to Florida together? In an interview, director Chris Columbus said that the movie is really about Kevin’s fear of being alone, and what he does to fight it. But I watch it in a different way. I actually see both of the first two Home Alone movies as stories about loving your neighbor. In the first movie, Kevin is terrified of Old Man Marley, who is rumored to have murdered people. In reality, Kevin discovers that Mr. Marley is estranged from his children and grandchildren. There is something deeply touching about watching the smooth, self-assured cheeks of Macaulay Culkin telling his grizzled, embittered old neighbor that it might be time to repent, to lay down his pride and extend hospitality to his own flesh and blood, to forgive as we want to be forgiven. In the second film, this pattern remains: Precocious Kevin, off on his own adventure sans family, glorying in his autonomy, until suddenly he isn’t. More violence and the same duo of angry bandits. And also, at the moral center of the film, an encounter with a very strange neighbor. The woman, who Kevin sees in Central Park, is dressed in ragged clothes and covered with pigeons. As a child, I was transfixed by these encounters—both with Kevin’s initial fear (punched up with screams) and his eventual pushing past it, reaching out and extending an invitation to understand. Now, I strain to catch the meaning of her words, her backstory. A broken-hearted woman who doesn’t want to trust. The pigeon woman tells rich little Kevin “I’m like the birds I care for. People pass me in the street. They see me, but they try to ignore me. They’d prefer I wasn’t part of their city.” Kevin buys her hot chocolate, and she provides a safe space for him in the midst of a lonely and dark world, the mutuality of not belonging. The genius of this film is that for all of its flaws—the obsession with wealth, and violence, and materialism—what remains in my mind is the idea that people are lonely, and isolated, for a wide variety of reasons. And the only way to combat this disease of the heart is to go out and be together with them in their suffering. In truth, Home Alone 2 is not a very good movie. A few scenes sparkle, but much of it is just embellished hijinks from the first film, this time in New York City. The plot drags, especially during the last 30-40 minutes, where Kevin sets up a series of traps for the Wet Bandits in a townhouse in the midst of renovations. It’s obvious that Home Alone 2 was made to make money, to the detriment of all involved. In interviews, Macaulay Culkin has spoken of the pressure he was under at that time, and how, a few years later, he would emancipate himself from his father/business manager and take a very, very long break from show business. But there is still a scene from Home Alone 2 with shocks that reverberate 25 years later. A little boy, lost in New York, makes his way to the Plaza Hotel. He wanders through the opulence of red carpets and sparkling chandeliers, his mouth open and gaping at the luxury, both pinching himself and yet also firmly believing he is entitled to experience it. He asks for directions to the lobby from a businessman with golden hair. “Down the hall and to the left,” the man says, taking another look at the child with the ski hat on bobbing towards the gatekeepers of opulence. The businessman shakes his head ruefully and then continues on his way. I am no longer a blissfully ignorant child, the one who didn’t understand that the businessman was playing a role for the adults in the room, milking his brief appearance for a laugh. This was a cameo, a vanity actor, a man famous for his money and his brash mouth and his bullying ways; the quintessential New Yorker as seen through the eyes of Hollywood. As a child, all of this was lost on me. Now, I think to myself: blessed are the pure in heart, for they don’t understand the hierarchies of the world. Our president, Donald Trump, no doubt conceded to appear in Home Alone 2 because the first movie had been such a hit, one of the top-grossing family comedies of all time. He might have gloried in the connections: the luxury hotel, being the man in the suit walking purposefully about. He is winking at the viewers, but he is the same as Kevin McCallister; he desperately wants us to believe he belongs there, in the places of money and power and privilege, and he desperately wants us to see that he does, indeed, enjoy being alone. I watch the film while my children sleep, and I think about all that has not changed in 25 years. How inequality still exists, how we are trained from a young age to accept this as a fact. How Christmas has become a time for indulging in nostalgia and buying our children experiences, when perhaps it should be a time to contemplate how to overthrow unjust systems. I’ve seen the inequality, I now live in a city just as segregated as New York. It just keeps getting worse. But one day, one day I believe the words of the mother of Jesus will come true. That her Christmas prophecy will be upheld and honored, and that one day this equitable mercy will be made known to my own children, and to theirs. D.L. Mayfield is the author of Assimilate or Go Home: Notes from a Failed Missionary on Rediscovering Faith. 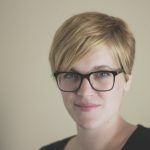 She has written for Vox, Image Journal, Sojourners, and McSweeneys, among other publications.